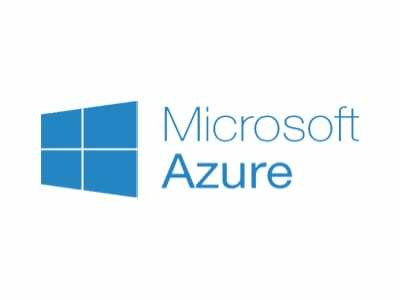 Microsoft Azure (formerly Windows Azure) is a cloud computing service created by Microsoft for building, testing, deploying, and managing applications and services through Microsoft-managed data centers. Azure provides Software-As-A-Service (SaaS), Platform-As-A-Service (PaaS) and Infrastructure-AS-A-Service (IaaS) and supports many different programming languages, tools and frameworks, including both Microsoft-specific and third-party software and systems. Many teams start exploring the cloud by moving their existing applications to virtual machines that run in Azure. While migrating your existing apps to virtual machines is a good start, the cloud is more than just “a different place to run your virtual machines”. A general overview of what you can do in Microsoft Azure. Azure is a little word for some pretty complex and vast capabilities. So, to keep things simple, let’s break them down into 8 main categories. Compute services, these cover virtual machines, containers, and serverless computing, including microservices. These services are primarily for performing calculations, executing logic, and running applications. Cloud storage, this includes disks attached to virtual machines as well as more structured formats, such as vault shares or databases, all of which can expand and shrink as necessary. to your on-premises environments and configure and control traffic into and out of Azure efficiently, helping to optimize application performance and scalability. App Hosting, this feature lets you run your entire web application on a managed platform in Windows or Linux. Plus the Azure marketplace has a huge range of third party products you can run in Azure, including SAP and SQL database solutions. AI, including machine learning and prebuilt cognitive services. These services help you search and analyze existing data to forecast future behaviors, outcomes, and trends. Those predictions can even be used to make absent devices smarter. IoT, Azure enables you to integrate sensors and devices and manage them with IoT hubs. Allowing you to create full feature dashboards and apps to monitor and control all of your assets. Integration, logic apps and service bus connect applications and services and allow for workflows to orchestrate business processes, whether those connected systems are on premises or in the cloud. Security, security is integrated into every aspect of Azure, including a harden of the structure and global security intelligence monitoring. With Azure’s identity management you have tight control over who has access to each service and the data in it. 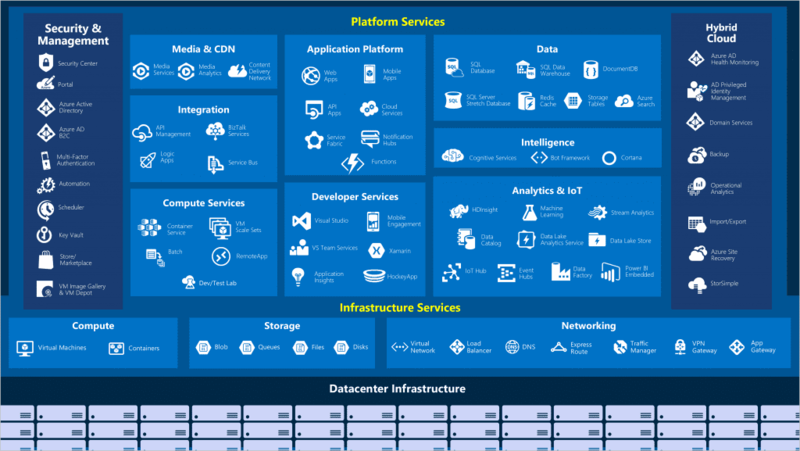 These 8 categories represent just a small fraction of the services available in Azure. Fortunately, it’s quick and easy to try out a new service, then mix and match them to get exactly what you need. And the best part, you will only pay for what you use.